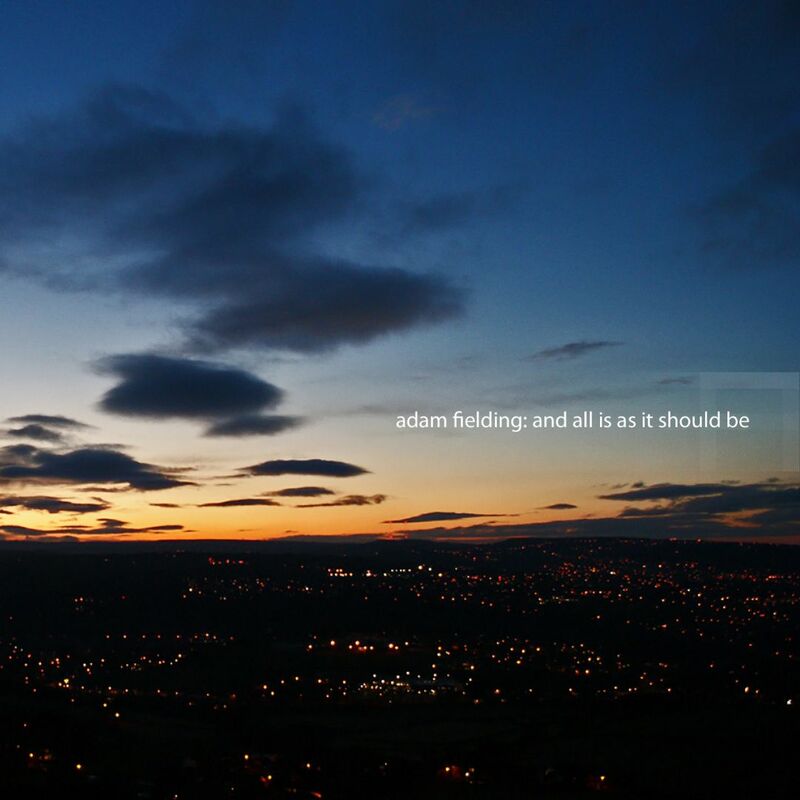 Following on from Lightfields (2010), and his collection of ambient works ‘And All Is As It Should Be'(2012), British electronic producer Adam Fielding’s is set to return to Distinctive with a new album titled ‘Icarus’. As ever, Fielding’s productions are rich with drama, space and intention. His work always carries a distinctly cinematic narrative; a trait that’s picked up by the film production houses that regularly champion his work. Opening the album is the title track and first single off the album. It’s a vocal opus charged with breathy pads, smart string arrangements and snappy beats. ‘Fireworks’ is a powerful follow-on, with an undulating synth bass line and expansive tonal work. For ‘Are Lights Approaching’, he takes a thumping 4×4 beat and envelops it in his signature textures, topping it off with an edgy vocal delivery that gives a raw, low-slung feel. Next up, ‘All We Ever Wanted’ introduces some acoustic guitar tones and yearning lyrics to the mix to create a haunting ballad. ‘Somewhere Out There’ is an ambient piece, just vocals and ethereal pads on this one that builds to a cathartic end. 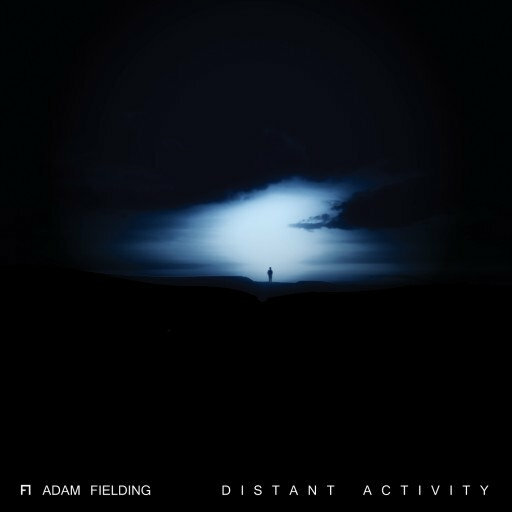 ‘Hiding From January’ is purely instrumental, showcasing Fielding’s intricate beat programming skills. Next, we have ‘Out of Reach’. It’s a propulsive stomper with a darker, industrial space-age feel. Fielding’s effected vocals adding to the crystalline finish. ‘High Rise Downfall’ uses a forceful broken beat pattern to punctuate beautiful synthetic atmospheres before some warm piano and guitar chords kick in to switch the vibe. ‘Break Me Down’ carries on the piano themes,this time paired with dynamic ‘rock-esque’ beats and chord progressions to make one of the album’s proper epics. ‘A Fire In The Sky’ is a moody and contemplative, acting as the level-setting precursor to one of the more accomplished vocal tracks on the album, ‘Ashes By Dawn’. Fielding’s vocal takes centre stage here, and it’s nothing short of breathtaking. As a final reprise, he delivers a short yet stunning string arrangement using the movements of the opening ‘Icarus.’ A fitting end to a record. Icarus is my third full-length album of original works, written between 2010-2013 and released through Distinctive Records. The album features the incredible talents of The City of Prague Philharmonic Orchestra. You can find it via Distinctive, iTunes, Amazon and pretty much any other major online music retailer you can think of. You can find out more information and listen to previews via the music page on this site, or you can check out the clips from the album below. Having spent three years working on this album, it’s quite surreal to see it finally making it’s way out into the big wide world. I’d like to say a massive thank you to everyone I’ve been pestering over the past few years with constant revisions, ideas and general nonsense, and of course thank you to everyone who has ever supported me and my music throughout the years. Without you this album would simply not have been possible. You can read a bit more about the background and creation of Icarus via the music page. You can also find full album lyrics via the lyrics section of this site. I’d absolutely love to know what you think of this album, as I mentioned – I couldn’t be happier with how it all turned out, and as a piece of work I think it perfectly highlights more or less entirely what I’m about as a musician. My third full-length, original solo album Icarus is due to be released on April 29th, with the eponymous single to be released a week before on the 15th. The single features a slew of remixes covering a wide variety of styles and genres both by myself and a hearty band of talented remixers. I really can’t wait to share this with you… it’s been a long time coming and a hell of a lot of work from myself and a sizeable selection of other people (including The City of Prague Philharmonic Orchestra, no less). I recently had the single masters back and, I’ve got to say, I’m really, really happy with how it’s all turned out. Of particular note for any audiophiles reading this – the final masters are sounding fantastic, and should come as a welcome relief to anybody out there (like myself) who’s sick of listening to excellent music that’s been mauled thanks to a constant push to over-compress and squash the living hell out of the source material in an effort to make it sound as loud as possible. As a record, Icarus is not that kind of listen and, as such, I’m very keen for it to withstand repeated listens. I’m currently working with the label on the artwork and I’m looking forward to being able to hold the finished album in the not-too-distant future. I plan on talking in great length about the album both thematically and production-wise, but it’s still a little way off release so all I’ll say for now is that for fans of well produced electronic music with a heavy emphasis on emotion, melody and narrative I genuinely believe that it’s been worth the wait. On a non-Icarus related note – I’ve just realised that I haven’t updated this site since the end of last year, so I guess now is as (in)appropriate time as any to say a hearty – albeit massively belated – Happy New Year! 2012 was a bit of a turning point for myself as a musician, particularly in terms of focus and direction. I’ve been working on a couple of production music (music for TV, advertising, film etc.) projects so far this year along with another project that I’m excited to have been a part of, which I’ll explain in more detail as things progress. Something I do plan on doing this year is collaborating with more musicians. I have plenty of ideas in mind, and this idea was more or less spurred on by a collaboration between myself and the inimitable Tom Pritchard toward the end of last year which you can listen to and download for free below. It’s been a long time since I worked on a proper collaboration, and I think I’ve progressed a fair bit as a musician and as a person since my last attempts. I’d love to know what you make of this particular collaboration! Please, no collaboration requests… as I said, I’ve already got a few ideas myself. I can’t believe I’ve left it so long since I last updated this site – as I’ve said before, that’s normally a good sign and this is no exception. I’ve got some great news. Album 3 has a name, one confirmed single and is – more or less – complete! My next full-length album is called Icarus, and it pretty much encapsulates everything I find enjoyable about modern electronic music – full of absorbing, interesting textures, detailed sound manipulation and – most important to me – solid tunes and genuine emotion. If you’re into hyper-compressed, aggressive-for-the-sake-of-being-aggressive, substance-over-style throw-away tunes then I’d strongly suggest looking elsewhere. But if you’re into genre-crossing music with a heavy organic edge that rewards repeated listening you’re going to be in for an absolute treat. The composition and production of the album itself is more or less complete and, having been working on it for so long, I must say that it’s a strange feeling to know that it’s finished. Well, I say “finished” – there’s still plenty of work to be done on the actual release-side! The first single from Icarus will be the title track. The Icarus single will feature a wide variety of remixes from some incredibly talented musicians and myself. It’s due out in Q1 of next year, and I’ll be providing further updates regarding the single and the album itself as the release dates draws closer. Also… just to settle some confusion: For those wondering why I keep referring to my upcoming album as my “third album” despite And All Is As It Should Be being, technically, my third artist album… that’s simply because this is my third full-length album of completely original material. AAIAISB was completely new material, though a good chunk of it consisted of re-interpretations of older works. I’m no less happy with it as an album than my other full-length releases – far from it! In fact, I put most of it together around this time last year and, as such, the album itself goes remarkably well with the current UK climate… the nights are drawing in, the frost and bitter cold is taking hold and it’s a great time for some chilled introspection. If you haven’t checked it out already then I’d strongly recommend doing so as it is a rather good accompaniment to this particular season (if I may say so myself!). Another reason I keep referring to Icarus as “album 3” is simply because, when I started writing it, it was the third album I’d been working on! Needless to say, I’ve been at it for a while. In addition to all this Icarus-related excitement, I’ve been working on a huge selection of production tunes (for TV, film, advertising, radio – that kind of thing) in the past few months which has, I’m pleased to say, found a home! Just to clarify: this is in no way related to Icarus whatsoever, though there are obviously elements of my production music that carry over into my own solo work. I’ve also been working on some more synth-pop inspired music lately which is, again, completely unrelated to Icarus or my production music. There’s a track up on my Soundcloud page called “There Is No Turning Back” which should give you a good idea as to what I’m going for but, again, I’ll be providing more information as this project develops. Stay tuned! Album 3 is still coming along nicely, and I’ve now got a few songs in the bag along with a healthy selection of songs that are ready for a bit of fleshing out. Curiously enough, the end of the album is more or less mapped out at the moment – that’s subject to change, but it’s interesting to see how it’s everything’s starting to fit together. I’m hoping for an interesting blend of progressive/synthpop/atmospheric styles with the finished album. For anyone interested in hearing how things are going, I have a habit of posting clips and snippets from time to time on my SoundCloud page. It’s worth checking there regularly as all kinds of bits and pieces have been appearing there lately and… well… sometimes it seems a bit excessive to post an update here for the sake of a song clip. Sometimes. I spent a bit of time last week re-installing everything and generally cleaning house, and while doing so ended up going through a few older projects to make sure everything was working properly. In doing so I started messing around with some older songs and re-working them into a more ambient style and ended up with a few interesting ideas – one of said ideas you can check out here. I’ve also been working on a few shorter instrumental ideas over the past month or so, sort of reminiscent of my “sketch-a-day” thingy I did a couple of years ago (for the uninitiated, this involved me writing very quick song ideas regardless of quality – surprisingly, I’m really happy with how most of them turned out) but with a bit more of a polished sound overall. I’ve also been tinkering with Reason 6 for a little while now and, I must say, the focus on rhythmic and distortion effects devices is very welcome.